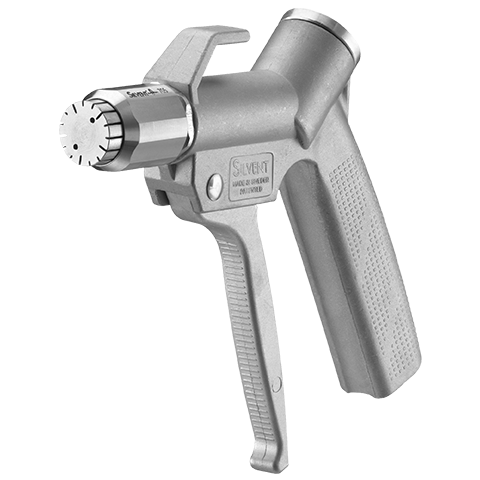 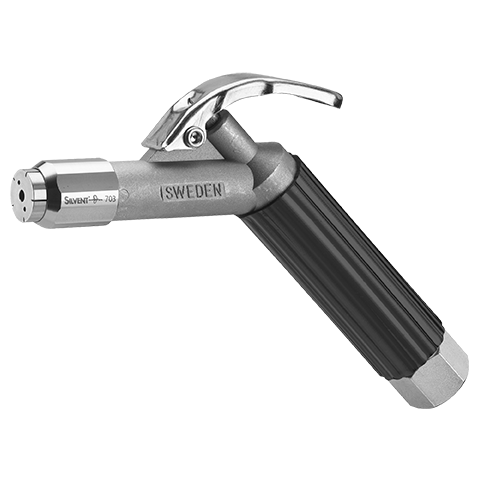 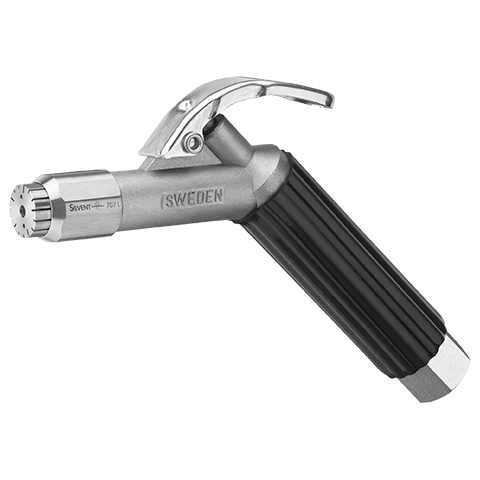 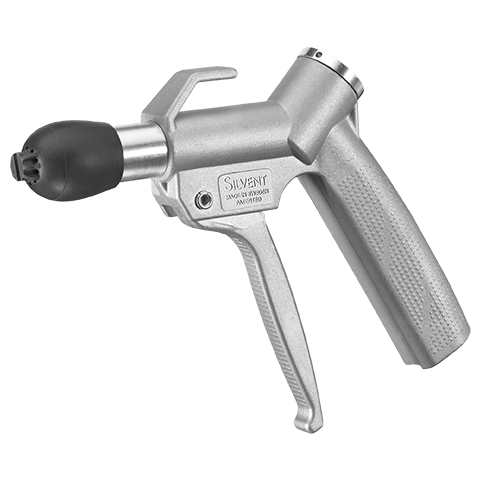 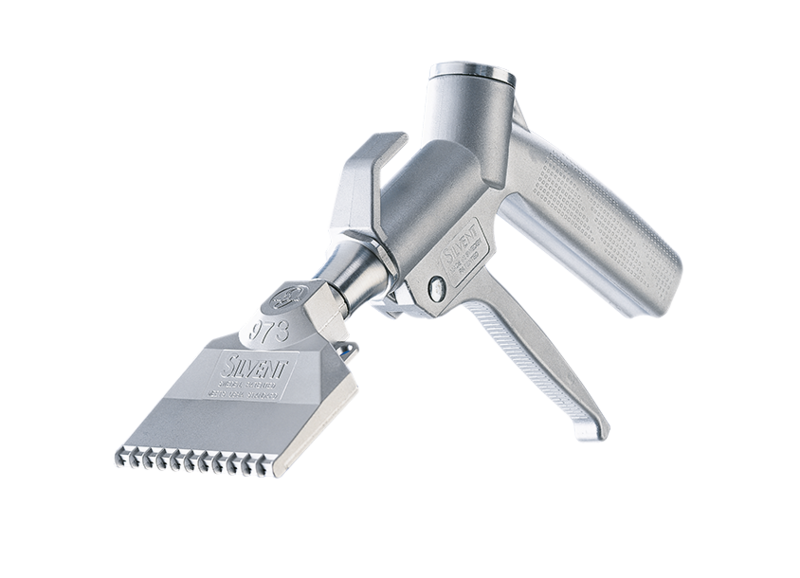 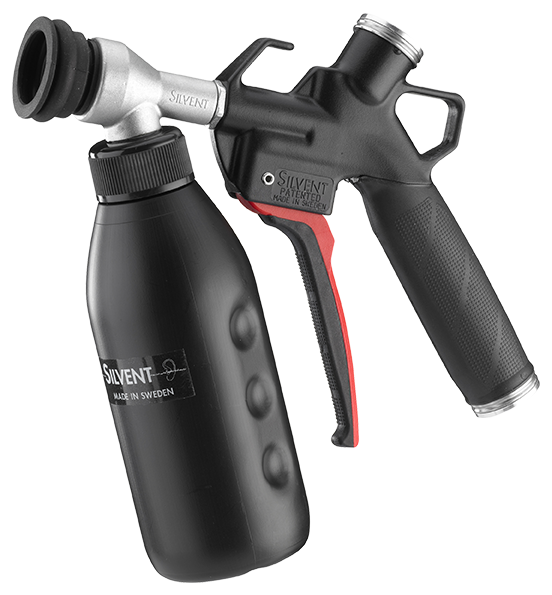 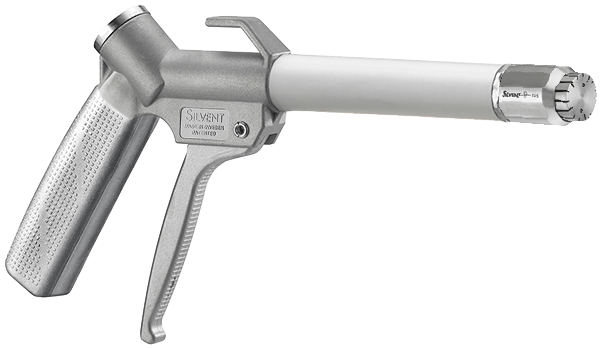 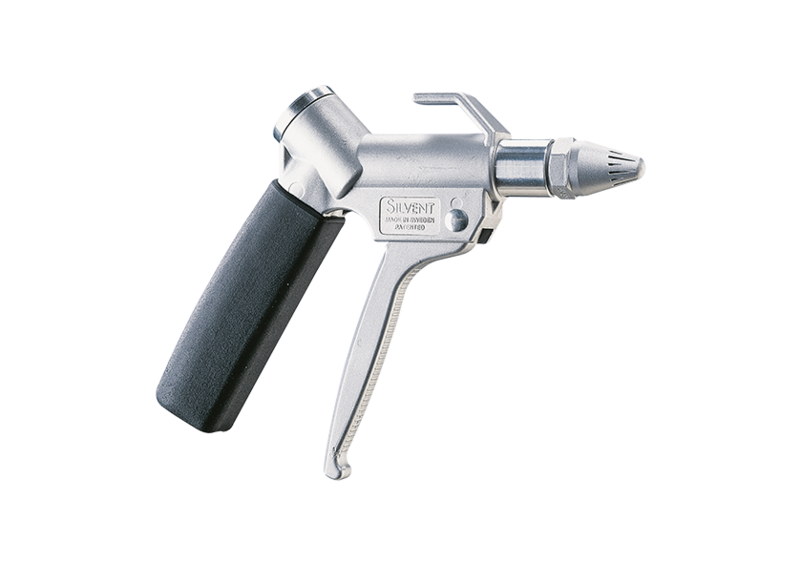 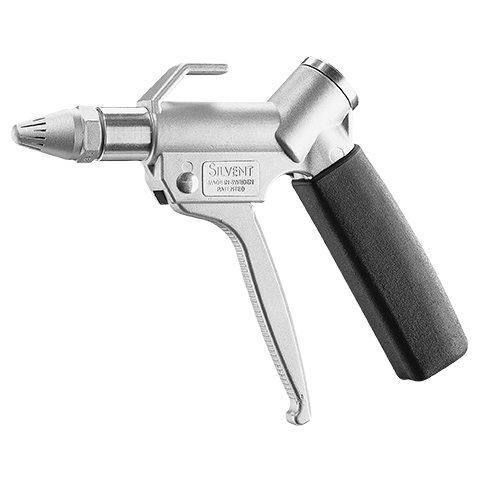 SILVENT 2055-S: with a stainless steel nozzle. 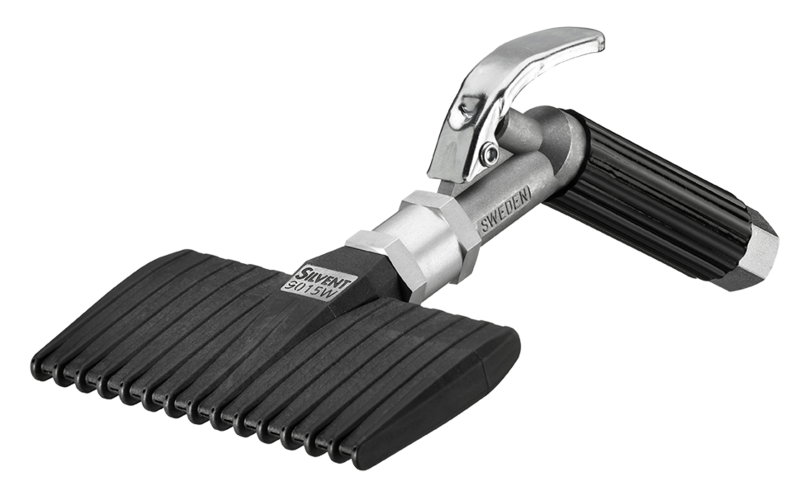 Recommended if your application requires extreme resistance to wear. 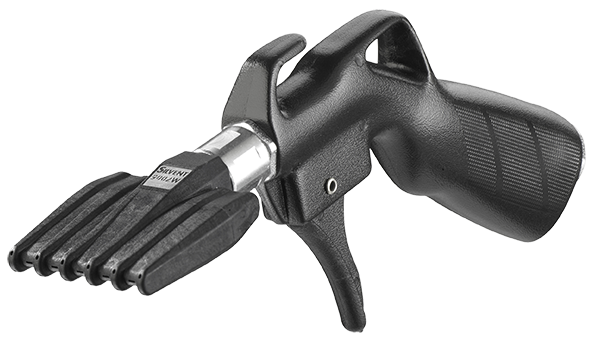 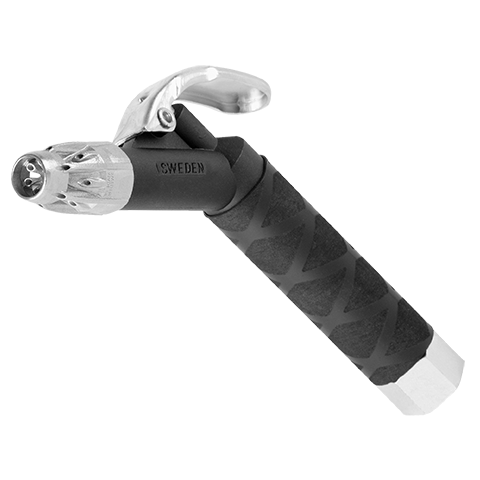 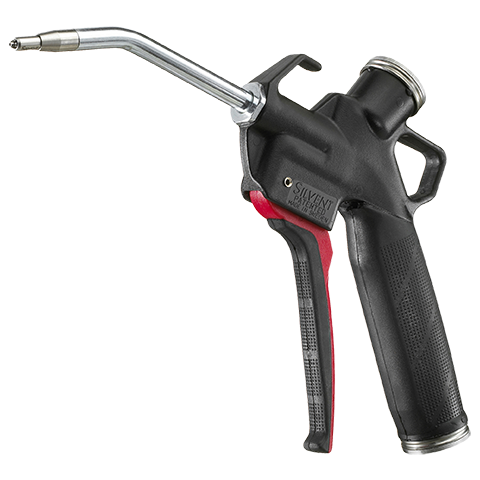 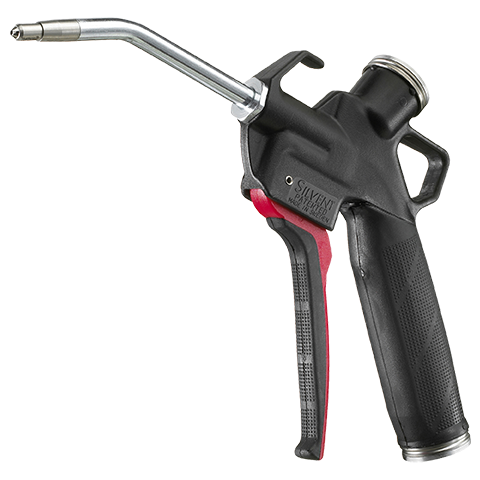 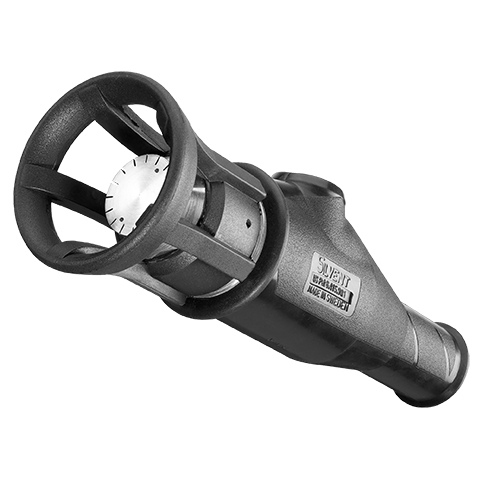 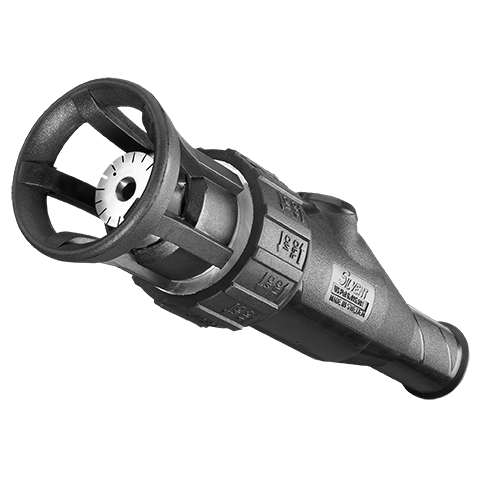 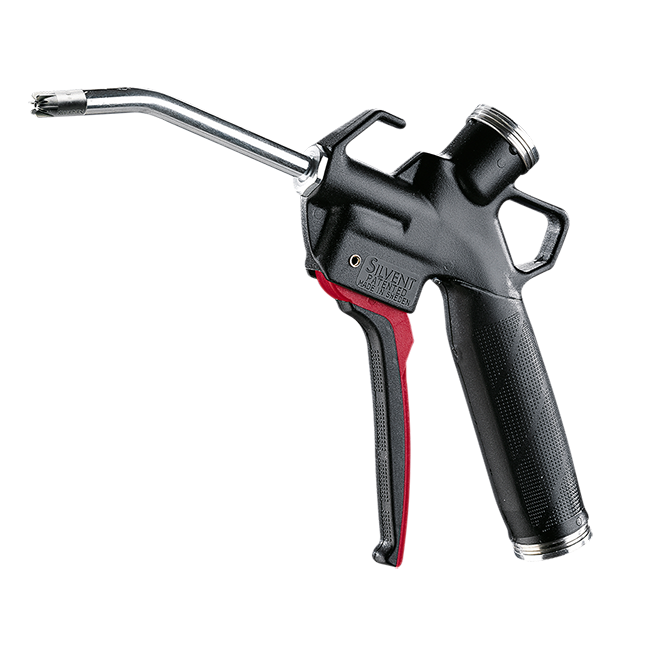 The nozzle can withstand nearly any existing application. 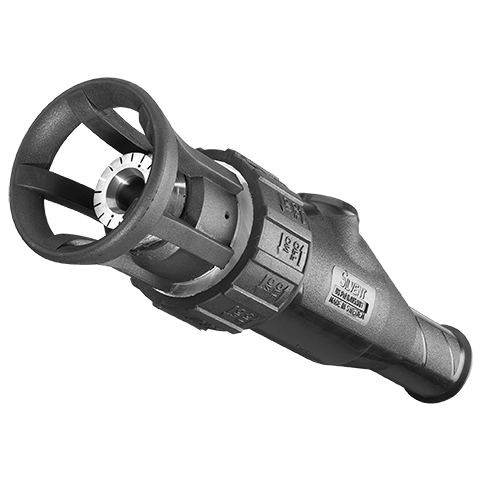 Designed with aerodynamic slots to use compressed air optimally and generate as little sound as possible. 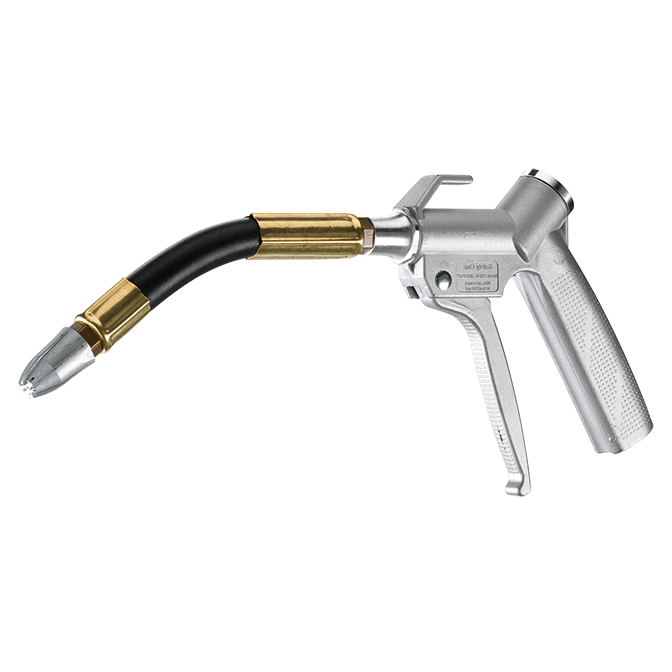 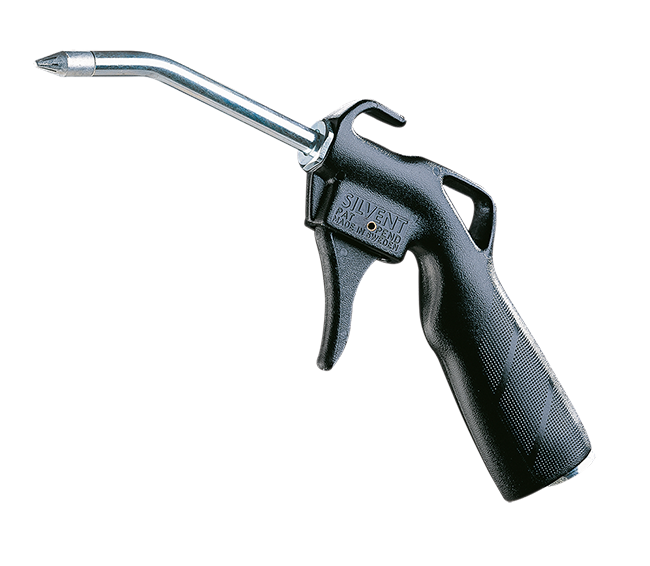 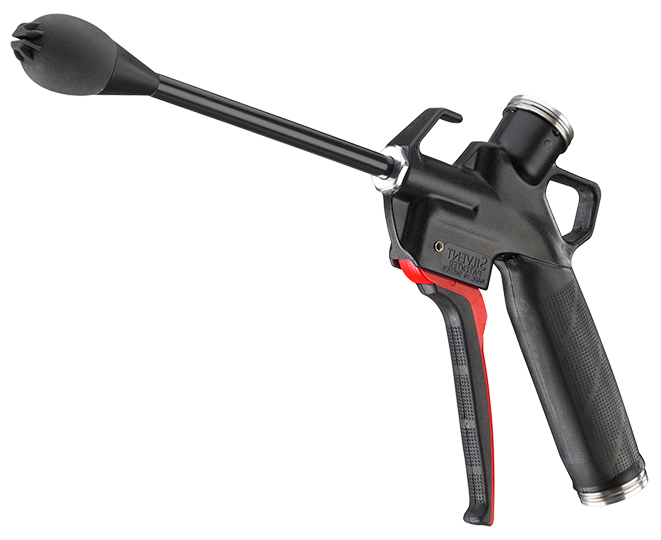 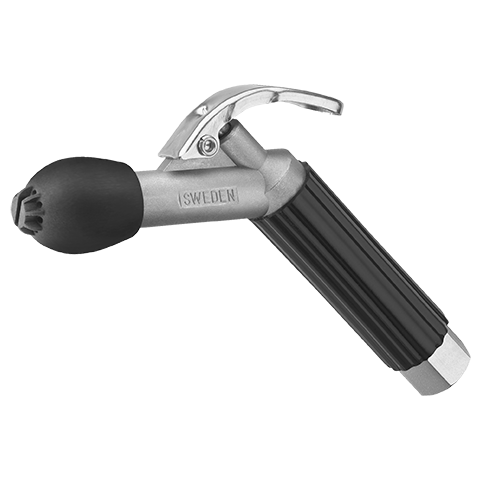 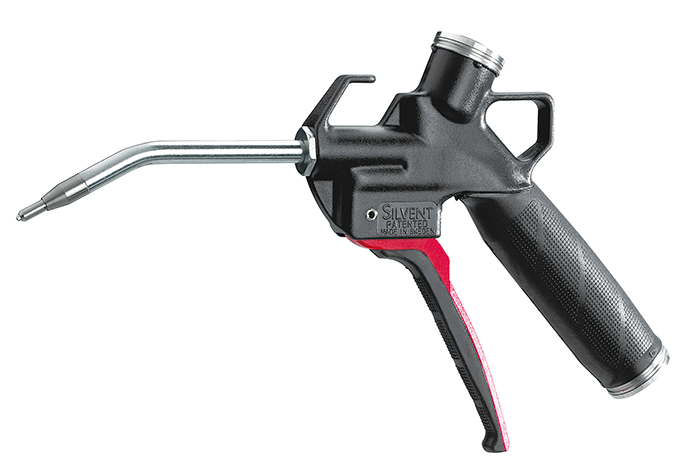 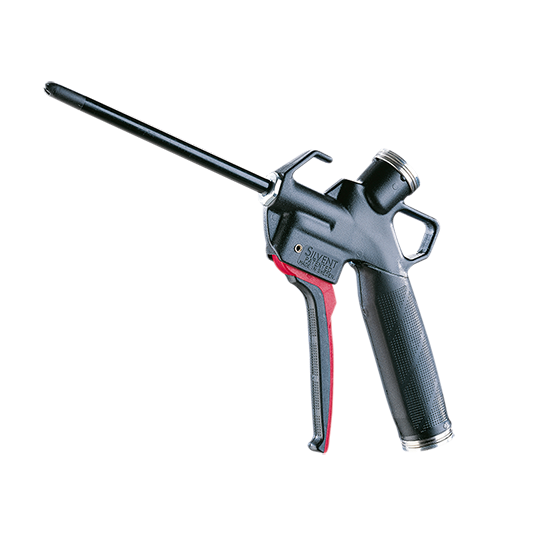 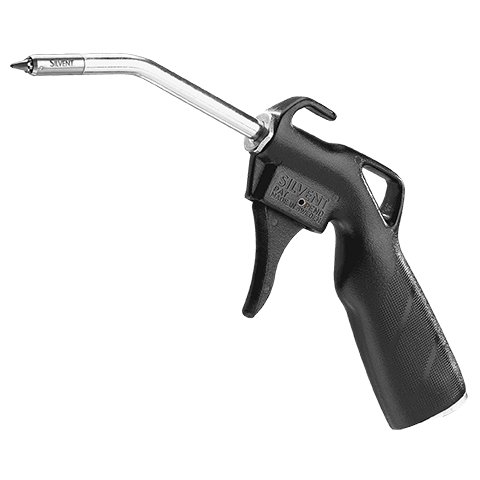 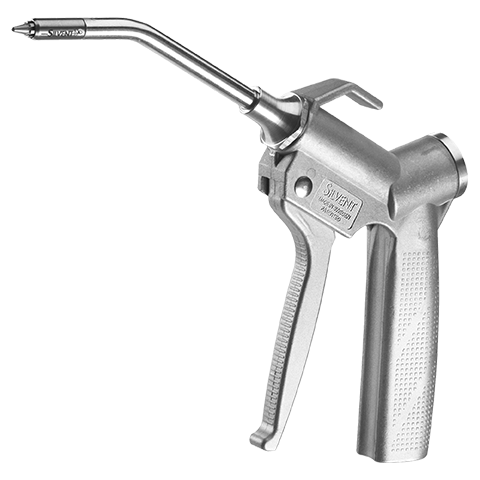 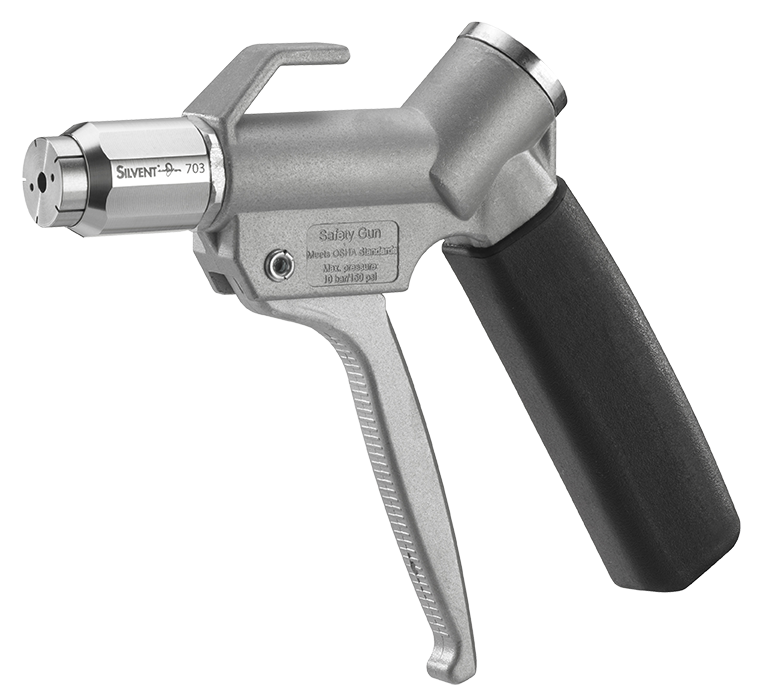 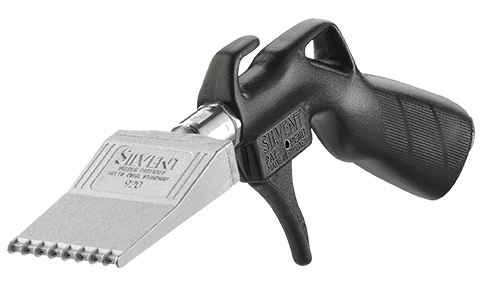 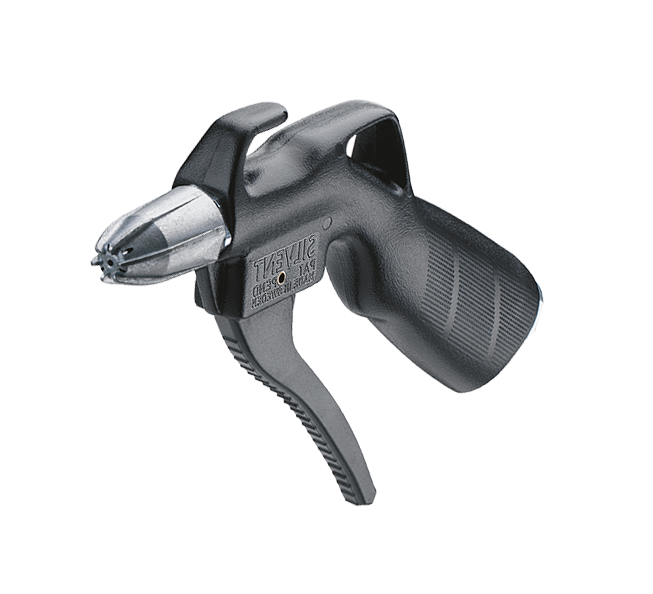 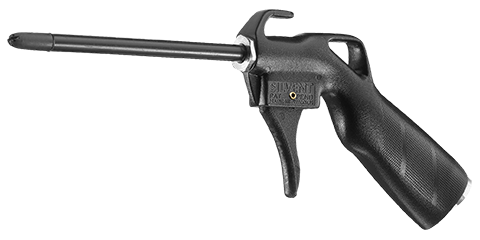 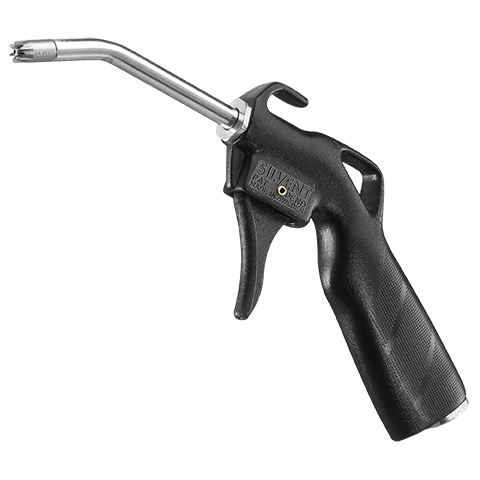 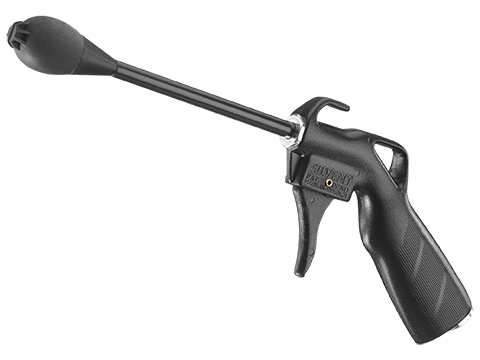 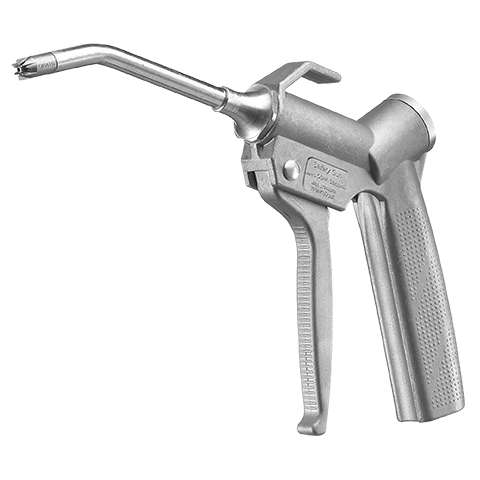 The blowing force is equivalent to the aluminum nozzle on our standard 2000 series gun. 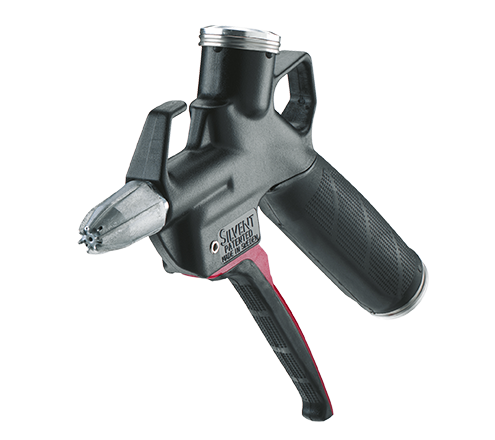 Blowing force 15.0 N (53.0 oz).